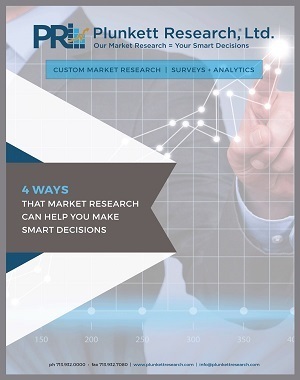 4 Ways to Use Market Research for Smarter Decisions - Plunkett Research, Ltd.
With some planning ahead, market research projects can be designed in a way that will serve multiple purposes at once. This not only lets you be more cost-effective, it also will help you to make smarter strategic decisions. Here are 4 tips that will help you make the most of your own research projects. – What are their strengths? – What are their weaknesses? – In which areas are they investing or innovating? This entry was posted in News on April 3, 2018 by NOTadmin.